Three nights I have been looking for a radiant sunset while in Moonta Bay. Wrong time of year I suppose, but tonight as if defiant, Mother Nature showed us her darker side. Still beautiful, still inspiring and still I feel lucky to gaze upon her, even in her dark old mood. 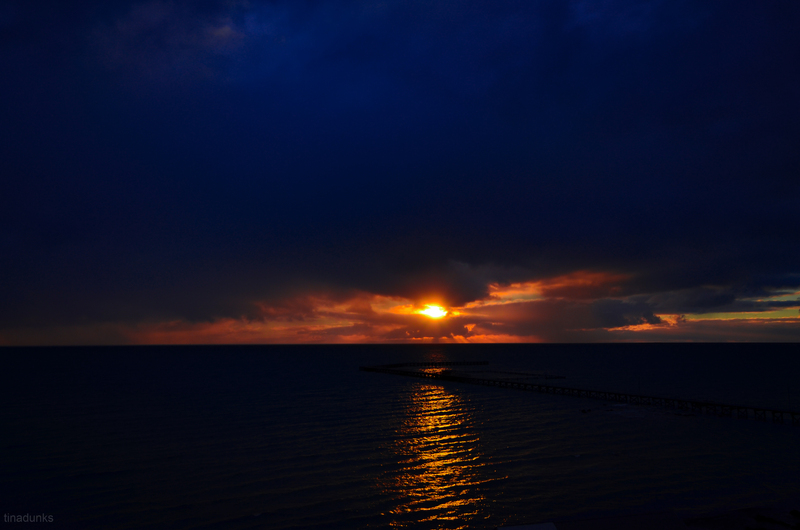 This entry was posted in Adelaide, Australia, Holiday, Landscape, Ocean, Photography, Road Trip, South Australia, Yorke Peninsula and tagged Adelaide, aussie, Australia, beach, boardwalk, clouds, country, holiday, jetty, landscape, nikon, ocean, photography, sky, South Australia, sunset, water, Yorke Peninsula. Bookmark the permalink.